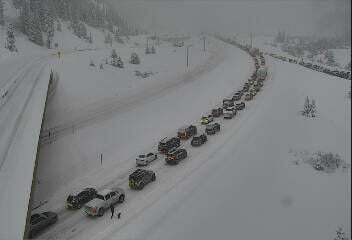 Stretches of Interstate 70 were closed Sunday evening due to an avalanche near Copper Mountain. Avalanche risk and adverse conditions on the mountain corridor briefly shutdown the interstate between Edwards and Frisco, according to the Colorado Department of Transportation. The interstate was reported open in both directions from Vail to Frisco at about 6:45 p.m.—nearly two hours after the initial closure was reported between Copper Mountain and Frisco by Colorado State Patrol on Twitter. According to 9News in Denver, no injuries were reported. Snowplows and state troopers were escorting eastbound I-70 drivers at Edwards and over Vail Pass just before 7 p.m., according to a tweet from CDOT. The avalanche was the second one reported in Summit County on Sunday. An earlier avalanche was reported in Ten Mile Canyon, but did not affect the highway, according to the Colorado Avalanche Information Center.